The registration of a company in Singapore can provide the founder with great benefits, improving the reputation and enabling the expansion throughout the Asian continent. 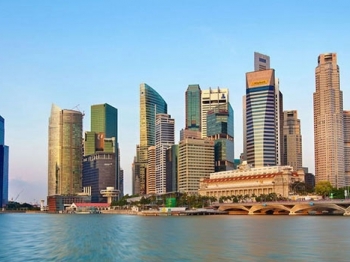 The country is characterized by financial stability and beneficial legislation, which allows non-residents from different countries to establish businesses in Singapore without unnecessary bureaucratic delays. Lawyers of Law & Trust International will assist you in your company set up. Our experts have a broad experience, and as a result, they guarantee a prompt completion of all stages of the company's registration in Singapore. have not been spent for purchase or rent of real estate on the territory of Singapore. So, Singapore companies that receive income from abroad and are exempted from taxation have some characteristics of an offshore company. However, each company in Singapore, notwithstanding the source of income, is obliged to keep the accounting record and submit the records to the relevant authorities of the country. An audit is mandatory for all companies, except for small ones, provided, that the accounts are not publicly accessible and can only be obtained by third parties either following shareholders’ decision or a court ruling. Consequently, a company registered in Singapore does not have a reputation for an offshore, so potential worldwide partners will more likely establish business relationships with such a company. Registration of Singapore Company in the form of a Company Limited by Shares is the most cost-efficient for non-residents. The requirements for company formation in Singapore are indicated below. There is no minimum authorized share capital for Limited companies. The process of formation takes up from 1 to 2 weeks. You may pick up company documents in our office or we may deliver them to you by courier service. What are the registration requirements needed in Singapore? Law and Trust International Lawyers are readily available to help you with the following requirements. How long does it take to register a company in Singapore? It takes a day to register a company in Singapore but depending on approval of certain government authorities, it could take from 1 to 2 weeks. The cost of registering a company in Singapore for the first year is $2499, while for the second year of registration costs $2395. Full range of related services: Provision of a full range of legal, corporate, government, and business intelligence related services. Free initial advice: Lawyers of Law and Trust provide free initial advice, as well as services for analyzing and developing a legal position on the issue you have raised. Fast and safe: Law&Trust keeps every clients’ details safe. Efficiency: We offer improved personalized services to help your business succeed. It is very easy to become a client of Law & Trust. The acceptance of applications is carried out without any interruptions, and you can visit our offices during working hours. Corporate tax rates details 17% (exemptions may be granted). 75% of first SGD 10,000 of chargeable income and 50% of next SGD 290,000 of chargeable income exempt. In Singapore, Trademark Comprehensive Studies are for word marks only.